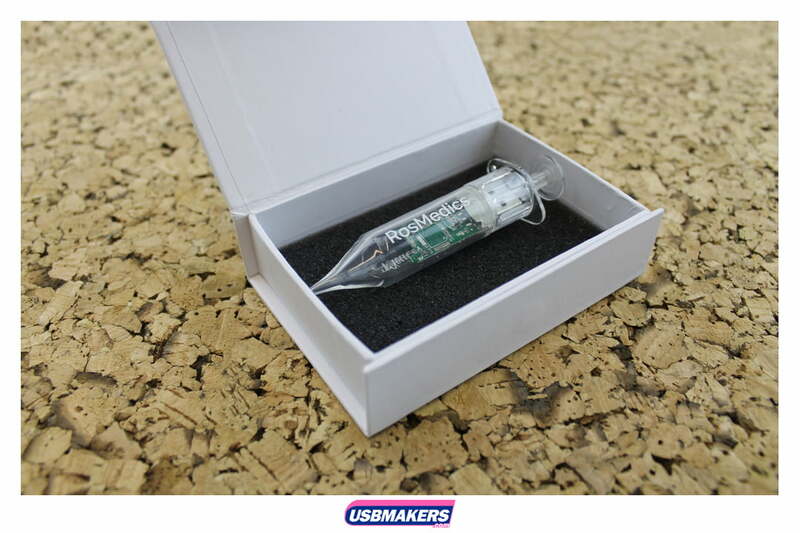 The Syringe USB Drive is an extremely unusual design. 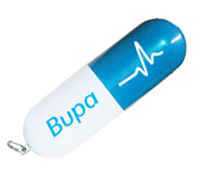 Although, it is a fantastic promotional piece of merchandise specifically aimed towards the health sector. 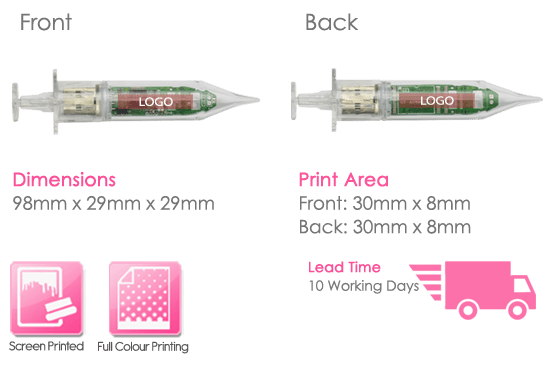 Tampo printing is required for the Syringe USB Drive due to its circular shape. 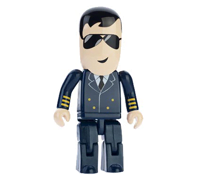 Therefore the simplest logos containing 1 – 2 colours are most recommended for this style. 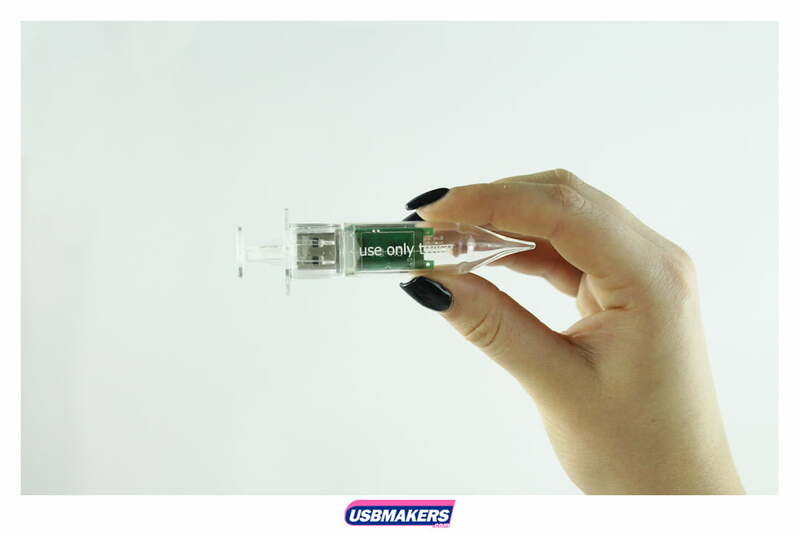 The material for which the Syringe USB Drive is made of is a transparent plastic. 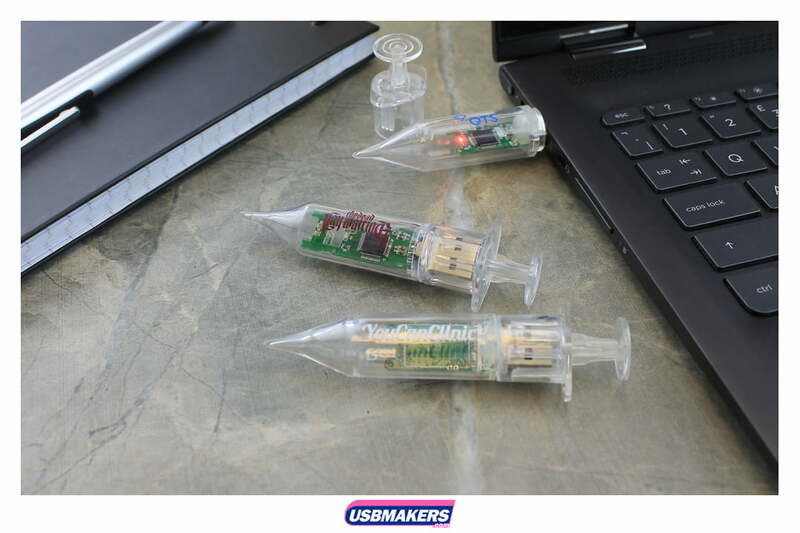 Furthermore, the Syringe USB Drive is available in memory sizes ranging from 128Mb – 64Gb and it has a specific minimum order quantity of 100 units.